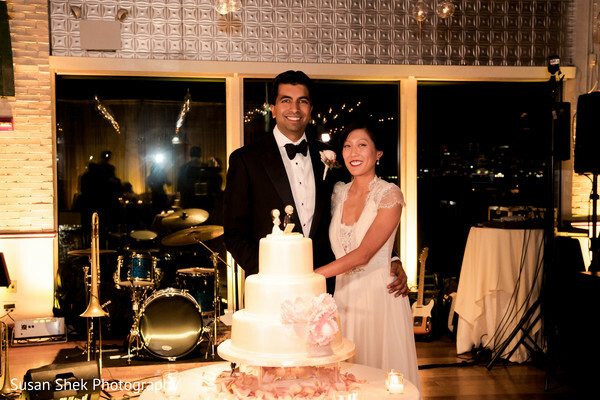 After a gorgeous Indian ceremony, Christina and Arun left the sun drenched Lighthouse at Chelsea Piers as husband and wife! They made an outfit change into modern, western fashions, with Maharani Christina in an ultra sophisticated white gown and Raja Arun in a perfectly tailored tux. 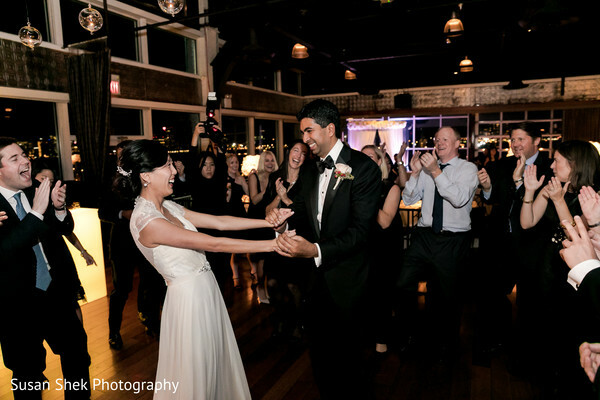 Christina’s hair and makeup by Heena Das and Ai were perfection once again, and she glowed under the bright sunshine as she strolled along the waterfront. With their killer wedding locale, they assembled their bridal party for some chic outdoor portraits. We are loving the bridesmaids’ red silk dresses, which contrasted beautifully with Christina’s pristine white gown. 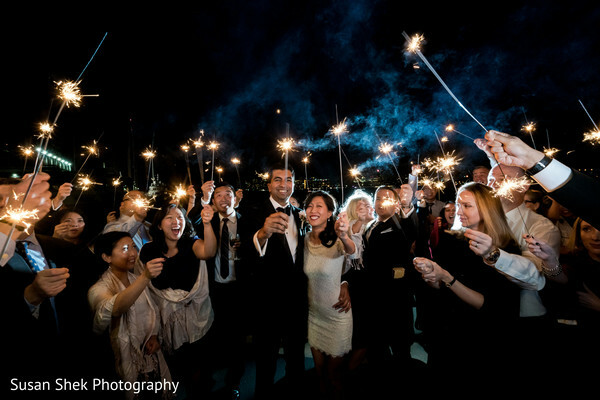 Check out the full gallery by Susan Shek Photography to see these instant classic photos! 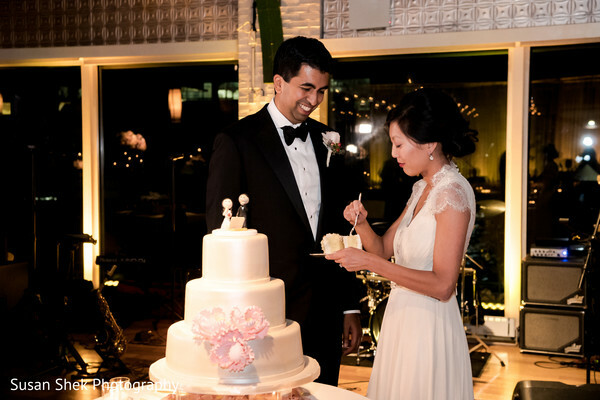 As guests assembled inside, Christina and Arun were married at sunset in front of the NYC skyline in a ceremony that dreams are made of! 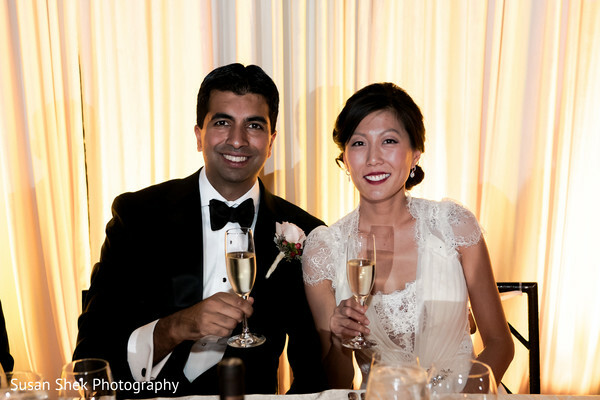 Guests were in bliss as the radiant newlyweds were pronounced husband and wife, but the night was just getting started! Touch of Elegance Event Planners executed every detail to perfection, while Elegant Affairs decorated the reception space gorgeously. 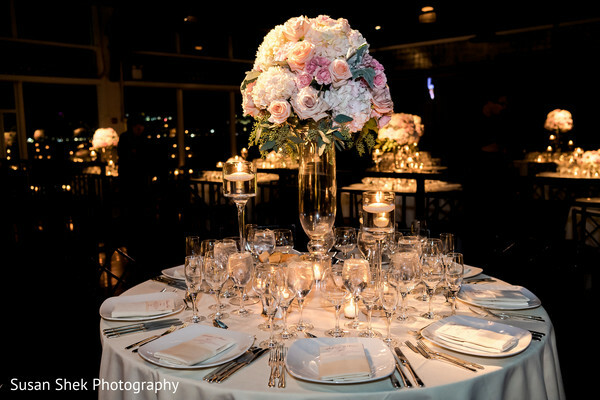 Guests were enchanted by the beautiful surroundings! 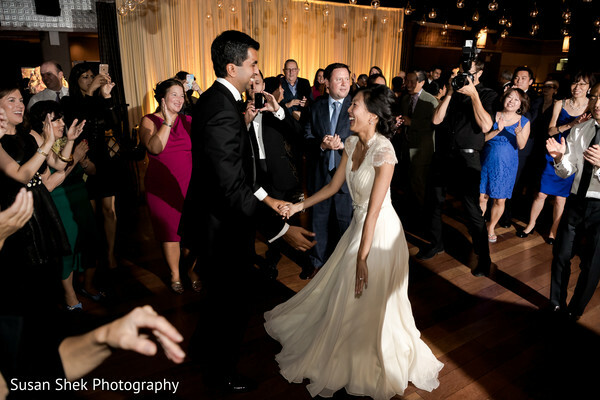 The night’s entertainment was provided by Silver Arrow Band and DJ USA, and guests boogied all night long to live music and the latest Bollywood bangers while NYC sparkled outside! 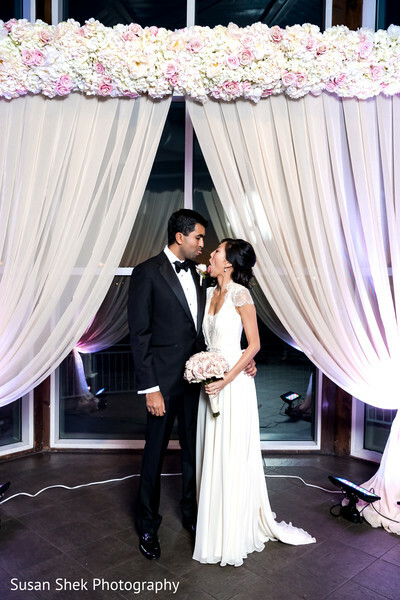 If your aesthetic is chic city elegance (or even if it isn't), hurry and revel is all the beauteous photos by Susan Shek Photography in the full gallery! Have a wonderful Tuesday Maharanis! We’ll see you all first thing tomorrow! 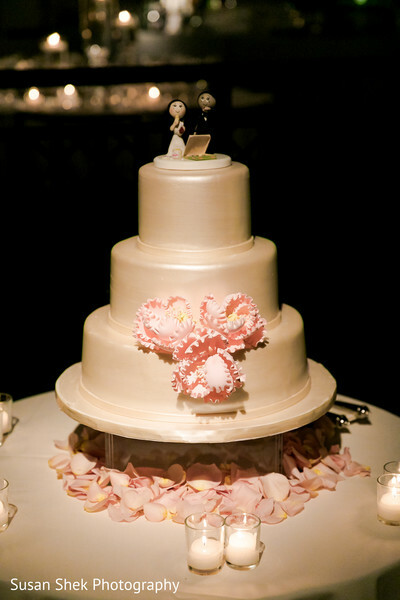 Elegant Affairs Inc., Touch of Elegance Event Planners and Susan Shek Photography are members of the Platinum Guide. Love what you see? Explore their portfolios.